Is Cheese Really Good For The Heart Now ? Home/Blogs/Is Cheese Really Good For The Heart Now ? Cheese is typically considered more of an indulgence than a health food, but a new review of research suggests that it may not be as bad for you as once thought. In fact, people in the analysis who ate a little bit of cheese every day were less likely to develop heart disease or have a stroke, compared to those who rarely or never ate cheese. Cheese, like other dairy products, contains high levels of saturated fat—which has been linked to high cholesterol, atherosclerosis and an increased risk of heart disease. (Recently, however, some nutrition experts believe that saturated fat is more benign.) But cheese also contains potentially beneficial ingredients like calcium, protein and probiotics, wrote the authors of the new paper, published in the European Journal of Nutrition. To learn more about how long-term cheese consumption affects a person’s risk for cardiovascular disease, researchers from China and the Netherlands combined and analyzed data from 15 observational studies including more than 200,000 people. All but one of the studies excluded people with existing heart disease, and all but two tracked people for 10 years or more. The researchers’ findings were “certainly different from what people might expect,” says Dr. Allan Stewart, director of aortic surgery at Ichan School of Medicine at Mount Sinai Medical Center, who was not involved in the new analysis. Overall, people who consumed high levels of cheese had a 14% lower risk of developing coronary heart disease and were 10% less likely to have a stroke than those who rarely or never ate cheese. “This is not the same as eating a big slice of cheesy pizza every day,” says Stewart. He also cautions against reading too much into data that’s self-reported—as much of the data was—because people tend to over- or under-estimate their consumption of specific foods. Stewart points out that the study was only able to find an association between cheese consumption and decreased risk of heart disease, rather than a cause-and-effect relationship. It could be that people who eat cheese on a daily basis are healthier overall, or have more disposable income and higher socioeconomic statuses. But it’s also possible that cheese has beneficial qualities that offset the negative impact of its high saturated fat content, says Stewart. “Cheese can be high in probiotics, which tend to put you in less of an inflammatory state,” he says. Cheese also contains conjugated linoleic acid (CLA), an unsaturated fatty acid that may increase the amount of of HDL “good” cholesterol and decrease “bad” LDL levels. 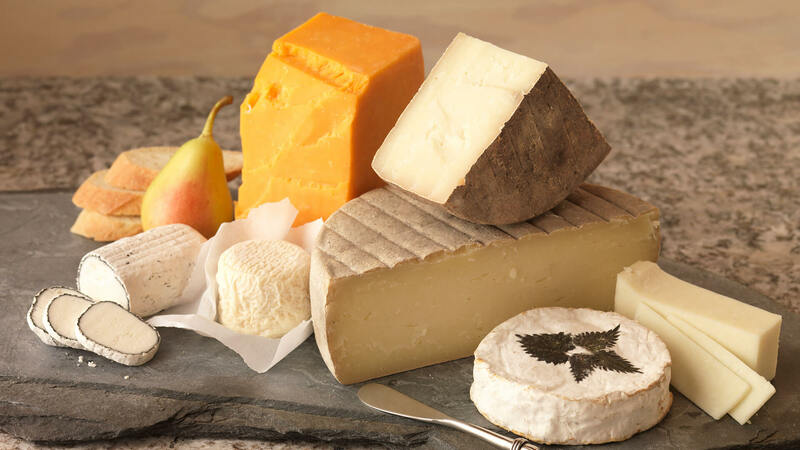 The study did not look at different types of cheeses, and Stewart says more research is needed to know whether certain varieties hold more health benefits (or risks) than others. Overall, though, the news is good for cheese lovers. The people who benefitted the most : In the study ate only 40 grams of cheese every day. Forty grams of cheese is tiny. A one-inch cube of Parmesan is about 30 grams. A Kraft single slice is 20 grams, which means a good grilled cheese sandwich would take you well past 40 grams. Beyond 40 grams of cheese, the health benefits appeared to shrink as more cheese was eaten. By the time a person ate 80 grams of cheese a day, the benefits had basically disappeared. So long, giant cheese wheel for one. It’s still pretty cool that tiny amounts of cheese are associated with a lower risk of cardiovascular heart disease. It just so happens that 40 grams of cheese is the size of two of those little Babybel cheeses with the red wax around them.